Luis is patient in providing a fact filled tour, a one of a kind Adventure in Belize, you will never forget. His knowledge and passion for the Maya people and the cave are obvious. 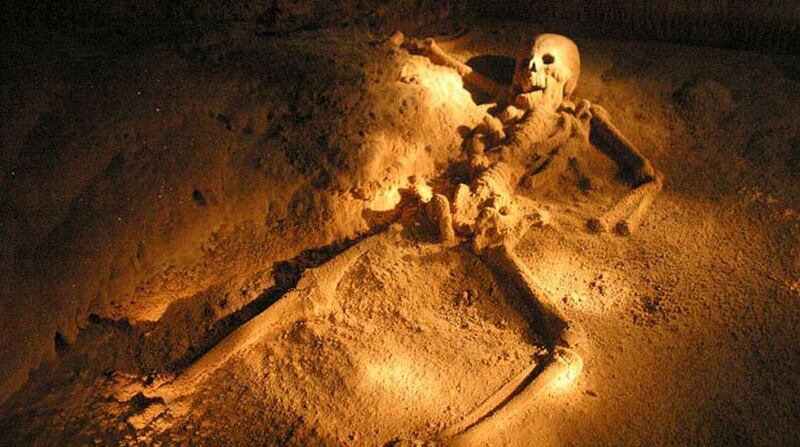 Looking for affordable tours to the famous skeleton cave? You've hit the jackpot with Luis and KaWiil Tour Company boasting 21 years’ experience and research in Maya history. The ATM cave is now a national park co-managed by the Institute of Archaeology and Belize Audubon Society, and is one of the top tourist attractions (Adventures) in the country. The guided trip into the famous Actun Tunichil Muknal Cave takes you deep into the underworld that the ancient Maya called "Xibalba". 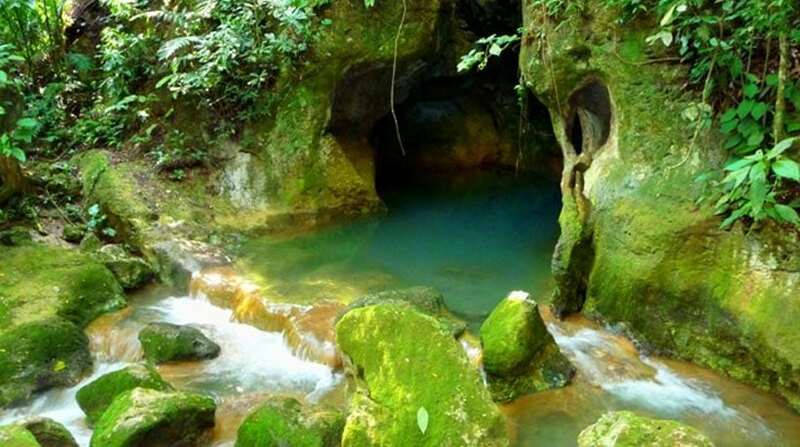 The ATM Cave Tour starts with a scenic 45-minute hike through Tapir Mountain Nature Reserve, wading across crystal clear rivers and hiking under the jungle canopy. Upon reaching the natural, hourglass-shaped opening you'll know that you have arrived at the entrance of the cave. Here you’ll gear up with a helmet, headlamp and life jacket provided by your licensed tour guide. With a cool swim across a beautiful turquoise pool (about 15ft across), you will enter the cave. From that point, follow your tour guide, hiking, climbing, twisting and turning your way through the darkness of the cave for about an hour. Don't fear, you're in safe hands with Luis as he points out every possible area of injury and instructs on how to avoid them. Witness Giant shimmering flowstone rock formations surrounded by thick, calcium-carbonate stalactites dripping from the ceiling and stalagmites growing from the cave floor. 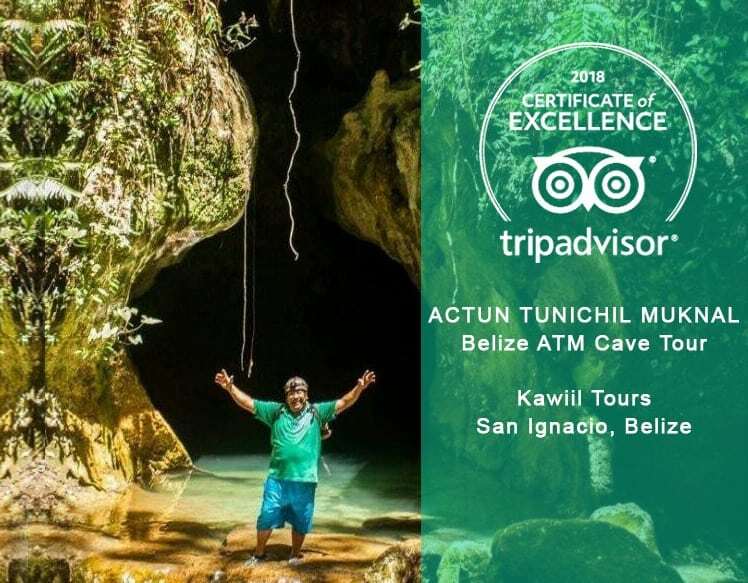 Actun Tunichil Muknal Belize National Geographic documentary is difficult to find on the internet, so we included the best video we could find to offer a glimpse of the famous ATM Cave. Archaeological Reconnaissance Project (BVAR) archaeologist; Dr. Jamie Awe, Sherry Gibbs and Cameron Griffith. There are two main areas of ritual significance in the cave. The first is a ledge located above the stream that contains two slate stelaes, one carved in the shape of an obsidian blade, and the other of a stingray spine. The stelaes are propped up with cave formations displaying broken ceramic pottery, a few obsidian blades, and pieces of carved slates scattered throughout the area. These objects suggest that the Mayas were performing bloodletting ceremonial rituals in the chamber. The second area of significance in the cave is the “Main Chamber” located approximately 1 km from the entrance. The skeletal remains of 14 individuals were recorded there, including a young adult male, whose bones have been calcified to a sparkling, crystallized appearance. Nearly half of the individuals left here were children with some head trauma, suggesting that they were sacrificed. Throughout Mesoamerica, children were commonly sacrificed to the rain gods in the Post Classic and Colonial periods. Other artifacts found within this chamber include ocarinas, manos and metates, as well as large jars and pots, all of which suggest agricultural rituals were performed there as well. Journeys to the underworld are never easy, and after visiting Actun Tunichil Muknal (Cave of the Stone Sepulchre), you may feel that you have been through your own epic test. We do complimentary pick up and drop off to places in San Ignacio and the immediate surrounding hotels and resorts. Please take note that The ATM Cave experience is moderately strenuous. Be sure to have a large healthy breakfast before you leave because the tour could last for a few hours. We do provide a yummy lunch as some of our past guest name it. Take a personal bottle of water. You will also need a change of clothes and footwear you don’t mind getting wet. Once you enter the inner chamber, your shoes must be removed and socks are required to avoid any traces being left behind. Kindly let us know if you have any dietary restriction and if you are taking any medication, please bring it along. The Actun Tunichil Muknal Tour Leaves San Ignacio at 8 A.M. 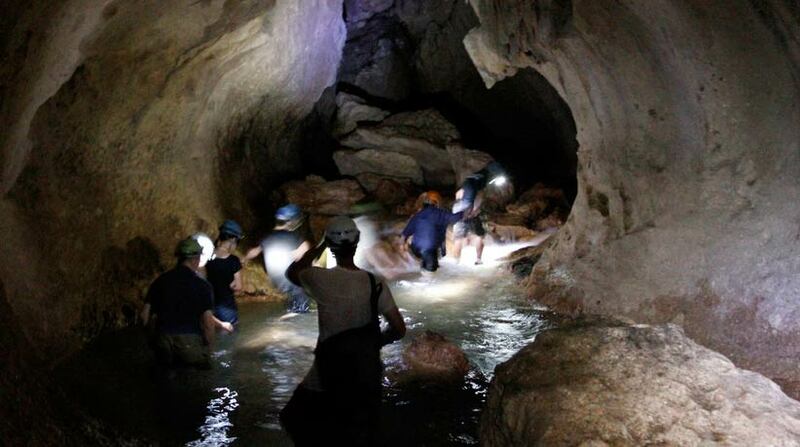 The ATM Cave is without a doubt the best tour to do in San Ignacio. We have had visitors travel from Ambergris Caye, Belize City and even from Placencia to do this amazing tour. Our second most recommend tour is Caracol, the largest Archaeological Site. If you would like a more relaxing tour, perhaps a day spent on the river visiting 3 gorgeous waterfalls is just what you need. Sign up for Actun Tunichil Muknal Tour Today!